Hotels at airports certainly have their perks! 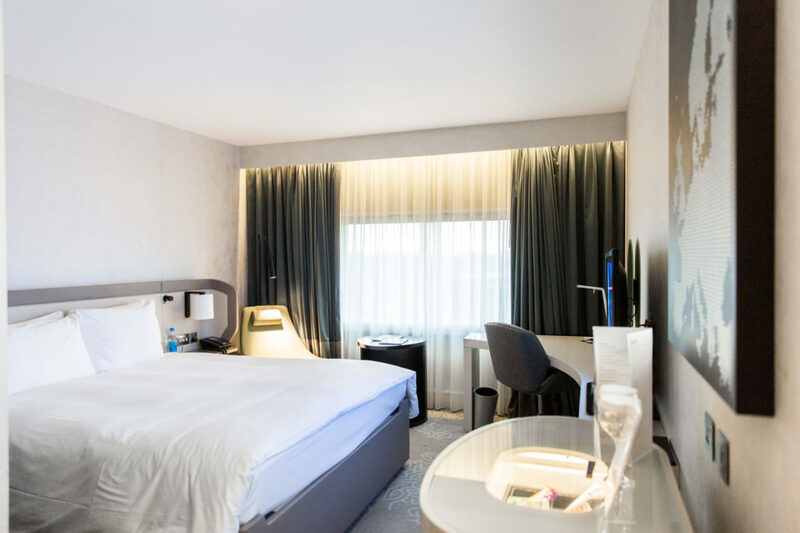 You come off a flight and its only walking distance to a hot shower and a comfy bed and if you’re catching a flight the next morning, its great to stay at a hotel within walking distance of the check-in desk. 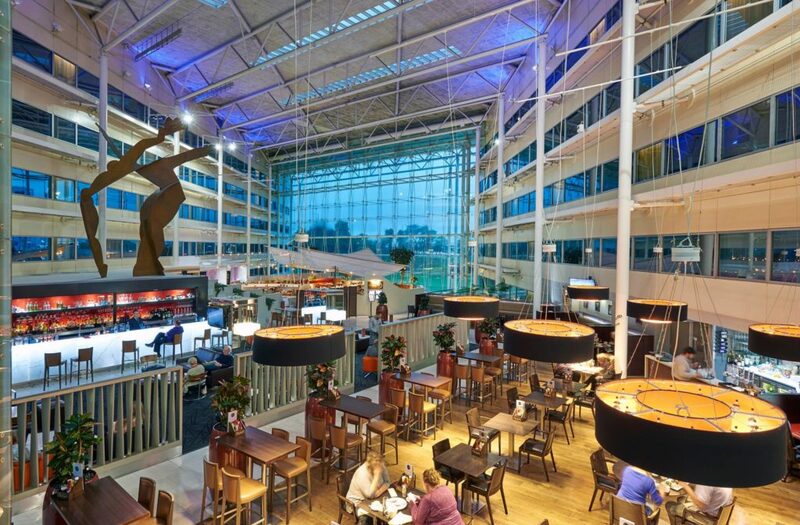 I stayed at the Hilton London Heathrow Airport, located in terminal 4 (I wish I was flying off somewhere exotic, but nevertheless I was very excited). I received a warm welcome at the desk and shortly after I headed on up to my room. It was a good size room, it had a big screen TV, mini bar and of course complimentary wifi (which no traveller can live without). For Dinner I headed to Oscar’s restaurant on the ground floor, there was a lively and energetic buzz in the restaurant. I ordered the Lebanese small plate which came with freekeh salad, tabbouleh, baba ganoush, garlic roasted lamb shoulder, stuffed vine leaves and flatbread. When it arrived my eyes instantly lit up. Presented beautifully and with a lot of options to tuck into. The lamb shoulder by far was my favourite, tender, flavoursome and juicy. 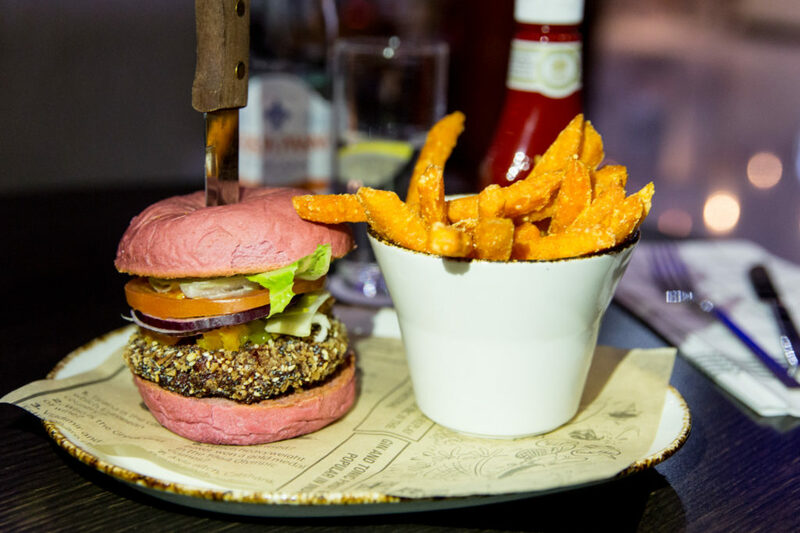 For my main, I ordered the Vegan burger: crispy beetroot and quinoa burger, golden beetroot piccalilli and fennel pickle served in a toasted beetroot bun, with a side of sweet potato fries. Now I have tasted more than a few vegan burgers in my time and I can honestly say the vegan burger served here at Oscars, blew every other vegan burger out of the park! The crispy beetroot and quinoa burger was nice and crunchy, and perfectly complemented the piccalilli. I can go as far as saying it was mouth-watering! The staff here were top notch, from the moment I arrived, to the moment I left, they were friendly, attentive and some threw in a few jokes, I felt very much at home here and thats exactly the feeling you would like when you stay at a hotel. After dinner I headed up to my room and got myself tucked into bed with a good book, this was the ultimate relaxed evening. In the morning, I had a nice lay in and then ordered room service, I order the Eggs Royal with croissants on the side. Again another delicious meal to tuck into. The eggs were cooked perfectly, which sat nicely on top of a generous amount of smoked salmon. Once breakfast was over I gathered my things and it was time to say goodbye. 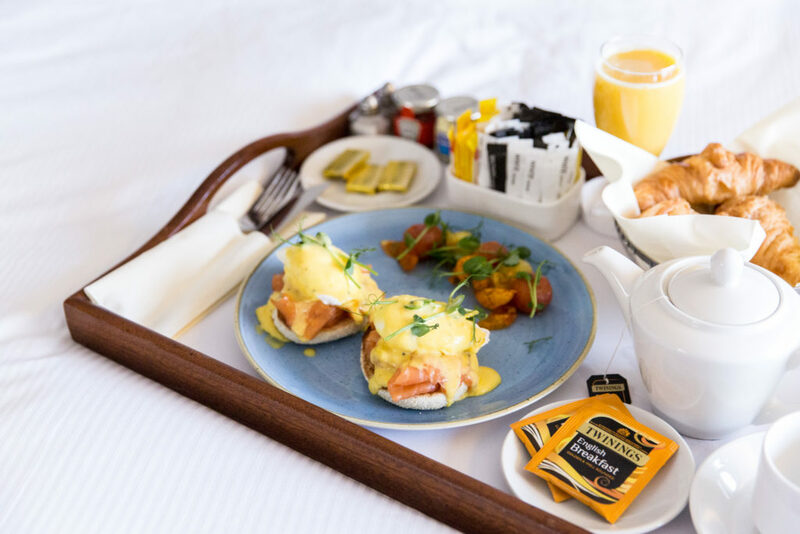 Staying at the Hilton London Heathrow Airport felt very different to staying at other hotels, it felt more relaxed and calm, no one was in a rush and you feel shut away from the hustle of the streets of London, which I really enjoyed. However if you want to explore London (which you definitely should by the way) you can jump on the tube or catch the Heathrow express and be in Paddington in 30 minutes. There is a lot to see in London, so make sure you squeeze in as much as you can. Have a read in our entertainment and Lifestyle section to see what is happening in London right now. 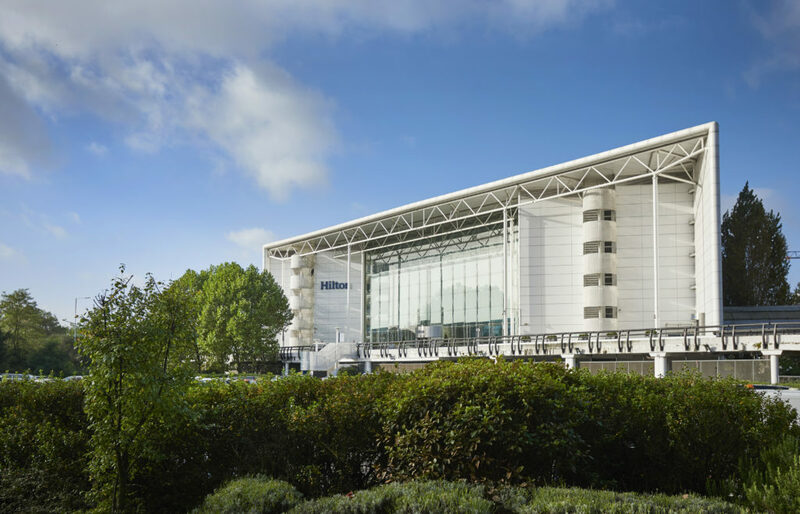 The Hilton London Heathrow Airport are currently offering a saving of up to 20% off if you book in advance. They also recently announced a fresh approach to improve the meetings and event experience at the hotel by incorporating a focus on wellbeing. 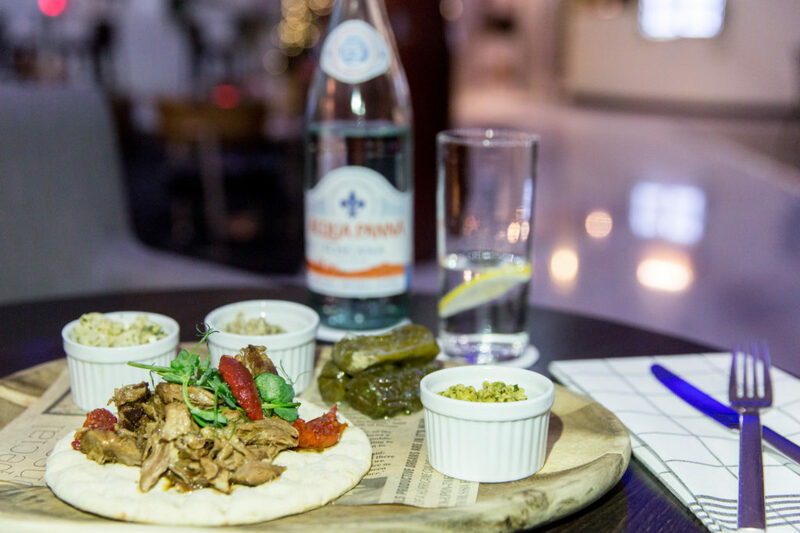 Offerings for corporates include ‘Meet with Purpose’ – a delegate package incorporating a sustainable, nutritious menu with personalised exercise programmes available on site at the hotel’s LivingWell Health Club. Now this is the type of meeting I would like to be invited to!